This type of aggomerate is typical of dry dusting or wiping of a surface. It is an accumulation of skin flakes, clothing fiber fragments, paper fiber fragments, natural minerals, starch, toner, insect setae, and other particles characteristic of office dust. This is from an environmental tapelift. 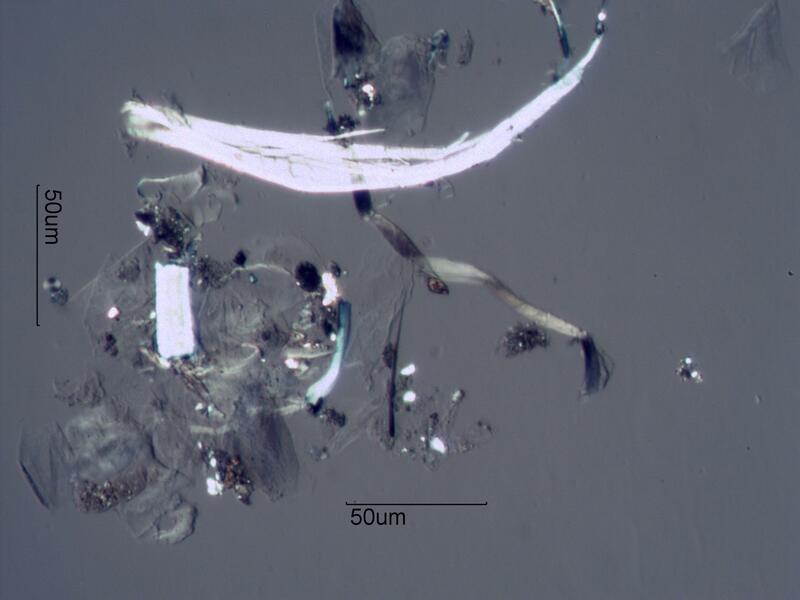 Most of the tape was free of particles with the exception of these occasional agglomerates. Detecting these patterns is one of the advantages of tapelifts.